Located in beautiful Marilla NY, Kodiak Jacks is great mix of great food and great people. Come enjoy live music in our grove during the summer or a fish fry on Friday. When it comes to Kodiak Jack's there is always something fun to stop by and experience. We have live music in our grove EVERY THURSDAY at 6:30pm and EVERY SUNDAY at 5:00pm during the summer (Memorial Day through Labor Day). We are located directly on the snowmobile trail which makes us a great WINTER DESTINATION. If it is food you crave, come check out our "Early Bear" fish fry dinner available on Friday evenings between 3:30pm and 5:00pm. We offer "Superior" drop-off catering any time of the year featuring all homemade, made "from scratch" foods! We cater parties ranging from 25-150 people. Our newly renovated grove is available for private parties and class reunions. For class reunion's we offer a special package for starting at $15 per person. Contact us today and we would be happy to help you plan. Our dining room is available for morning and early afternoon parties such as showers, communion parties, and funerals. Also, don't forget that our ENTIRE RESTAURANT AND GROVE is available for private parties during the summer on Saturdays. Whatever you have going on, enjoy it at Kodiak Jack's! Please note...We are CLOSED ON SATURDAYS during the summer months (Memorial Day through Labor Day) to allow us to focus on our drop off catering and private parties in the grove. Dine in our dining room, our newly renovated grove, or order anything from our regular menu for take-out. Sliced Grilled Steak, Field Greens, Tomatoes, Onion, Green Pepper, Mozzarella, Croutons & Bleu Cheese Crumbles. Served w/ a Warm Breadstick & Homemade Bleu Cheese Dressing. Meals includes choice of fries or applesauce and a special dessert. Have your next event at Kodiak Jack's, or let us bring the food to you. We offer services over and above the normal restaurant menu. We offer superior drop-off catering services that our customers rave about! Let us take care of the work and have us cater your next event. Call us today. We offer a full banquet menu, platter packages and a complete beverage package making Kodiak Jack's the ideal place to have a banquet. Call Today. 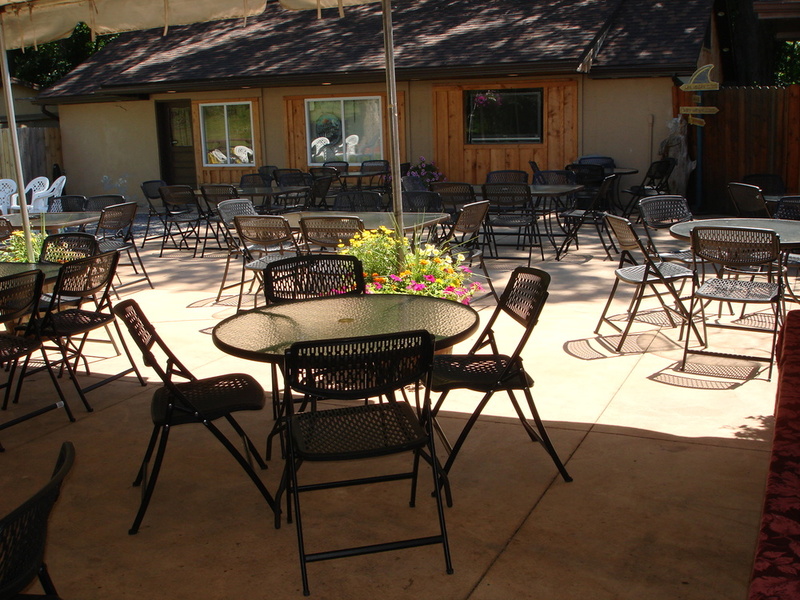 We offer our entire restaurant and grove for private parties on Monday's and Saturday's during the summer. Call us today to schedule your next party at Kodiak Jack's.